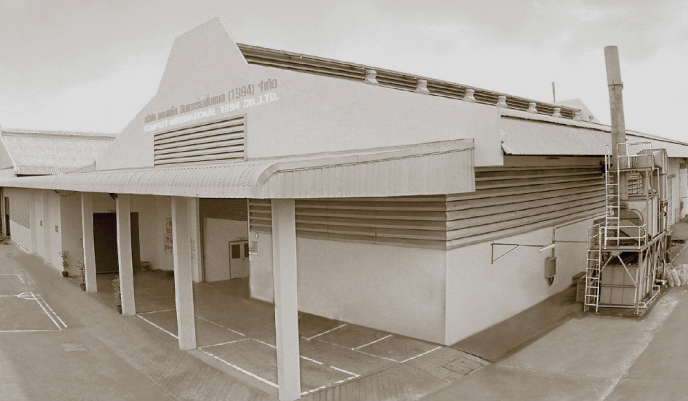 In 1994, Compact International (1994) Co., Ltd. was established at KHAO YOI, PETCHABURI with on 24 acres land. At this factory, we produce a new product which concern more toward the environment, which is called a “Non Asbestos Organic Brake (NAO)” by using the new innovative technology from Japan and Europe to produce Disc Brake Pads, Brake Shoes, and Brake linings. In the same year, Compact International (1994) Co., Ltd. developed the product and the management system quality to be certified Industrial standard, 97-2536, which used for the manufacture of Brake pads for cars. In 1998, the company acquired the ISO 9002:2008 in management system to apply to the factory. In 1999, Compact International (1994) Co., Ltd. had officially certified the ISO 9002 from SGS Thailand on 15 th March. In 2003, the company achieved the certificate of ISO 9001:2002 from SGS Thailand on 15 th March. In 2005, for many years, we had attempted to improve our product to meet the high quality and safety standard, we finally achieved our goals by obtained the certified not only for the Thai Industrial standard 97-2536 but also the international management standard ISO 9001:2000. Additionally, we certified to the quality management standards in the automotive industry which is “ISO/TS 16949:2002”. In 2006, the essential of our purpose is to meet the customer satisfaction and to develop our product to reach the Western quality and highest safety standard. We had done the research with a well-known government organization, famous educational institution, and reputed private company such as National Science and Technology Development Agency (NSTDA), Chulalongkorn University, and Siam Ex-tech Co., Ltd. for developing and adapting Nano technology to create special product as “NANO Technology Brake”. Regard to use Nano technology to produce brake, Compact International (1994) Co., Ltd. becomes the first company in Thailand who successfully using this technology. In 2007, success being the Green Factory by getting certified for BEST GREEN PRODUCT DEVELOPMENT from National Science and Technology Development Agency (NSTDA) and being the knowledge centre of brake testing in the region. In 2008, the company bought the new brake testing technology which called “SNT BRAKE DYNAMOMETER” from Japan to operate in our plant. Nevertheless in the same year, company also received Bualuang SME Reward in field of “The best production and management” from a well-known private organization, Bangkok Bank. Additionally, the company also gained the “SME Power Reward” to support the activity by using system of TPS (TOYOTA Production System). In 2009, with a high intention to improve our company to reach The World Class Brake Production Standards, finally our products are trusted. In 2010 to 2011, the company successfully obtained the world class brake quality standard of E-Mark (Germany), and also in the same year we launched the new product which called “COMPACT NANO INFINITY”. It is a special product which uses a specific design for TOYOTA COMMUTER (Van). In 2012, Compact International (1994) Co., Ltd. decided to invest 50 million for the most efficiency brake testing system machine which called “LINK MODEL 6900 TRUCK BRAKE DYNAMOMETER” from The United States of America for developing and producing Brake lining for passenger buses, heavy trucks, and all type of commercial vehicles. We are the first company in Thailand to apply this machine. At the present day, Compact International (1994) Co., Ltd. have become a major Brake manufacturer in Thailand industries with the sales volume both domestic and overseas approximately 2.5 million sets per year. 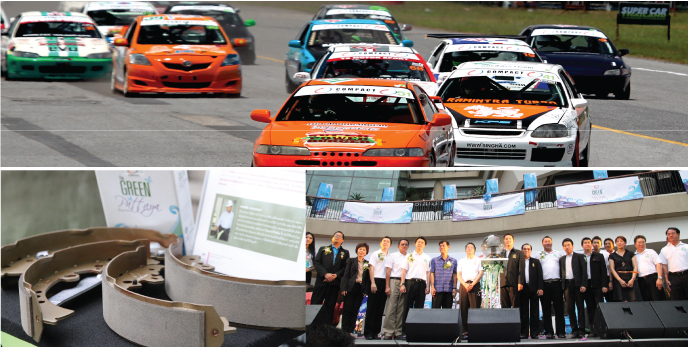 Compact International (1994) Co., Ltd. has grown and prospered alongside the Thai society for over 14 years. We are committed to customer satisfaction through technology and manufacturing leadership, and each successive Board of Directors and management has consistently adopted a business philosophy which emphasized the importance of professionalism in management, corporate practice which is ethical and fair to all partners, and corporate values based on social responsibility. Copyright 2018 Asia Compact Industry CO., LTD. Powered By Ultimate Digital Service.